KIZUKI, the latest branch of the rapidly growing japanese company Less is More is located in the prestigious Raffles Hotel in the center of Singapore. The very contemporary setting, merged into the large, history-charged space, reflects the spirit of the young japanese stylists, who came to tropically hot Singapore with their ‘cool’ styles and ideas. 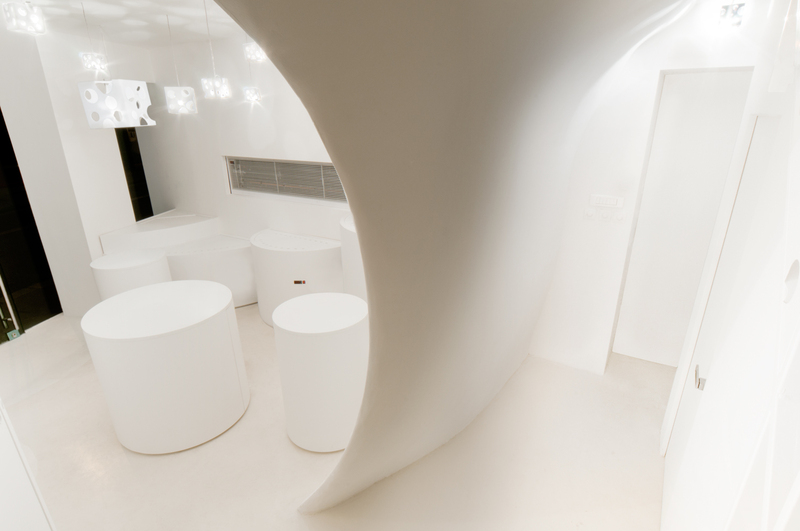 A ‘glacier’-like structure dominates the space and separates it into reception, cutting and shampooing area. In the cutting area, large pivotable wings with mirrors fold out of the wall. When they are closed flush into the wall, the room becomes a spacious location for events and concerts. The timbered reception ‘hut’, includes a small gallery space that works as a platform for local artist. 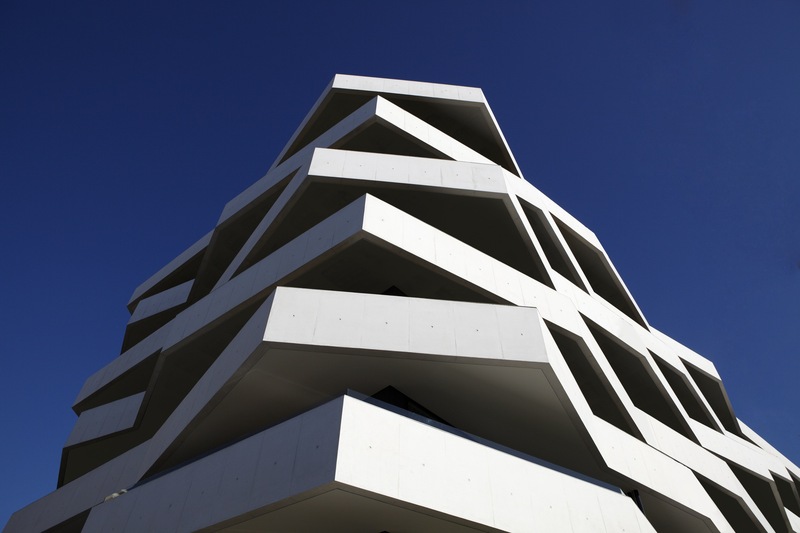 Located nearby Oporto’s seaside area, Living Foz is composed by 40 apartments distributed over 7 floors. Unleashing 30 percent of the plot area for a collective use garden, a relief to the neighboring construction is obtained. The balcony angle articulation creates spaces enriched by contrasts of light and shade, exposure and protection, emphasized by the contrast between the white cast-in-place concrete and the dark Glass Reinforced Concrete. The geometric and material principle of the facades continues trough the external areas, creating landscaped spaces for playing, strolling and relaxing. The controlled sun exposure, the thermal inertia of the facade, the use of alternative energy and electrically efficient appliances, are features that integrate the building in a quality standard of respect for the Individual and their Habitat. 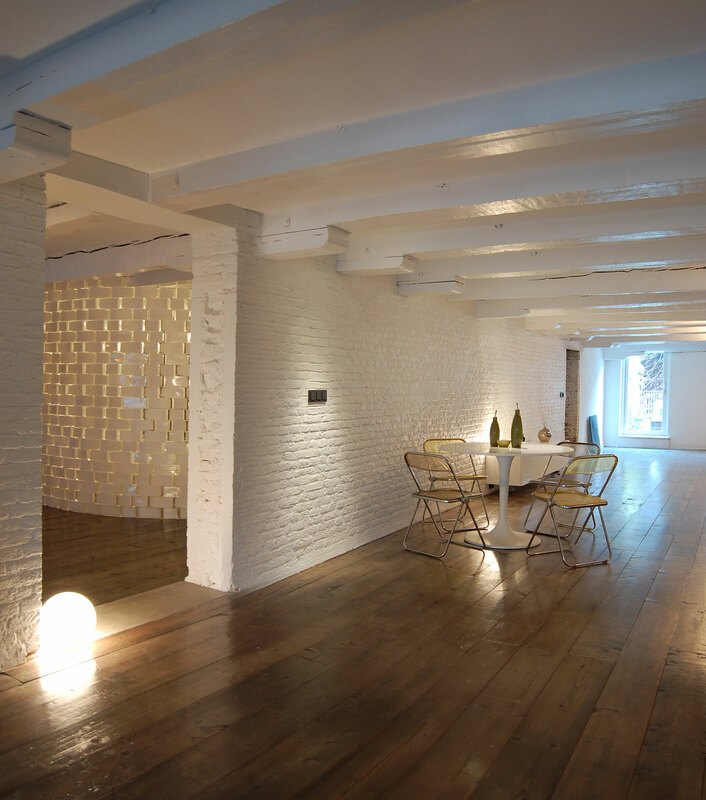 This distinctive loft is located on the first floor of a historic warehouse on the Brouwersgracht in the centre of Amsterdam. The apartment is designed by Remco Wilcke of CUBE architecten and his partner Marloes van Heteren of SOLUZ. When they found the monument it was still in use as a warehouse, as two separate long and dark rooms of 100m2 each. They bought the place and hoped the council would let them change the status to ‘dwelling’, which they did after all the plans were submitted. The building reveals its preciousness at first sight. 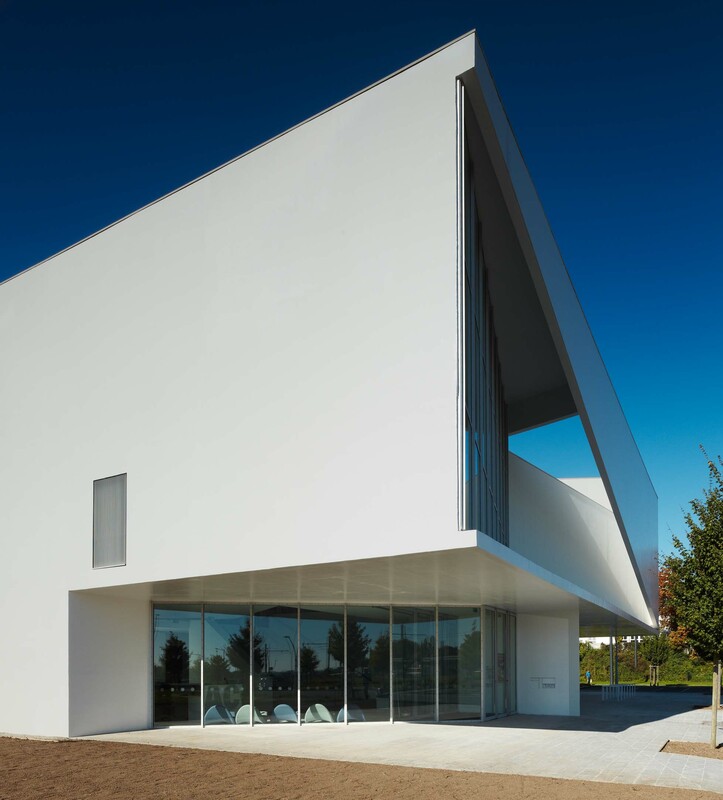 Its pure, sophisticated geometry situates it as a public building. 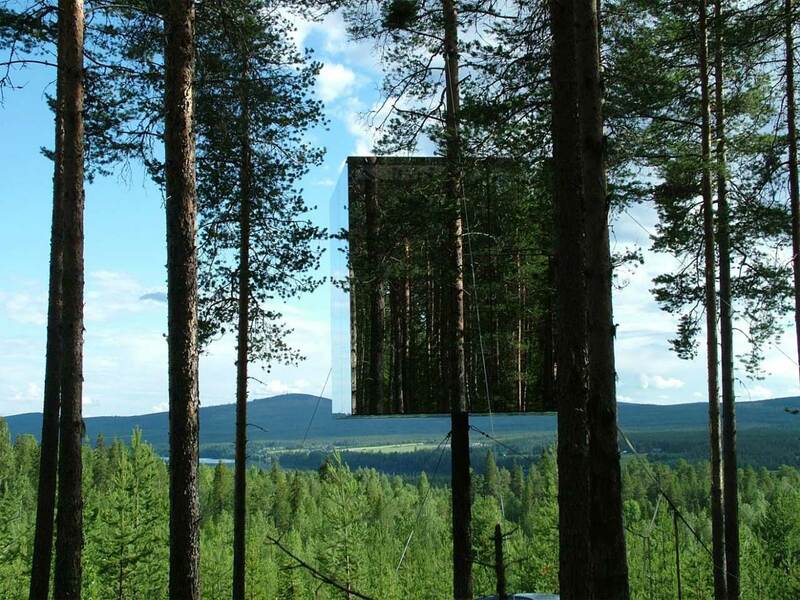 The deliberate areas of transparency reveal its content. The reading rooms present the building to the town in the manner of an invitation. The multimedia library is covered with large white veils that reflect the light. 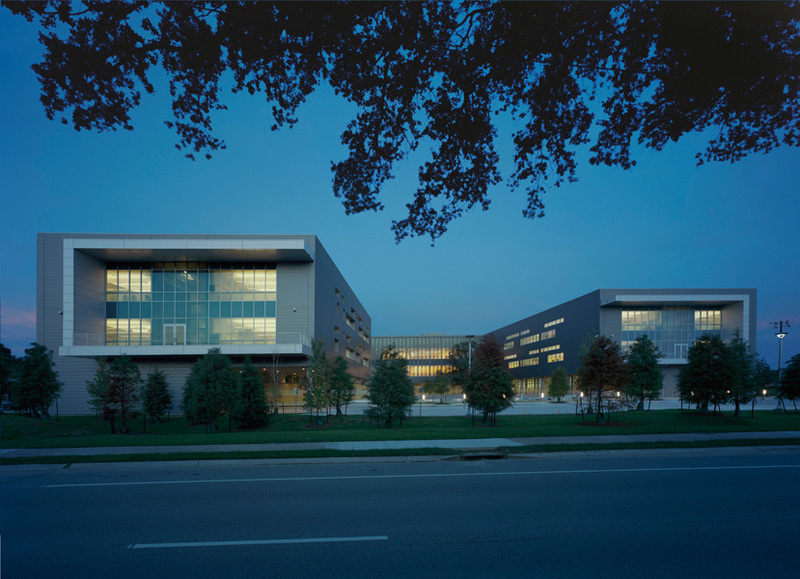 The building asserts it lightness, like an origami. The successive folds and flaps repeat this image. It is white, almost immaterial, like the mere projection of a concept, yet it is brimming with the life that constitutes it beyond its physical limits. 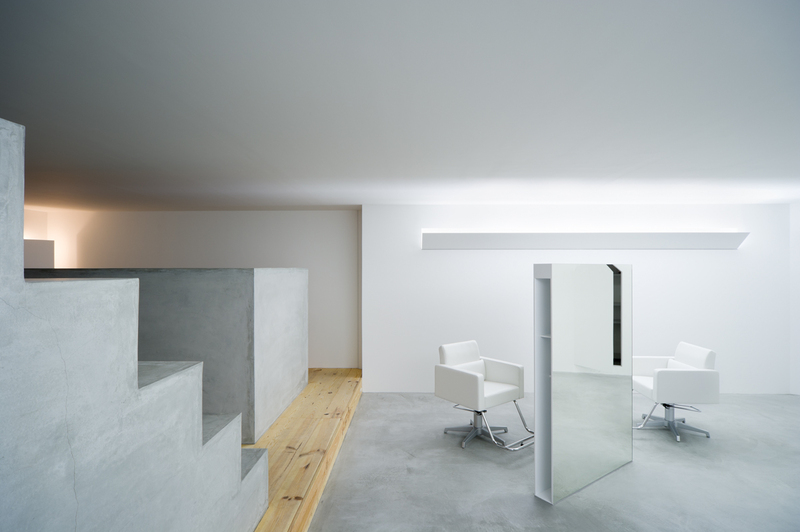 NE, located in central Osaka, is a hair dressers shop for a young couple that started up their own business. The small space doesn’t reveal it’s actual purpose and is conceived as a narrative sequence of abstracted objects and volumes. An iconic stair, that contains the wash- and backroom, marks the waiting area and serves as seating accomodation and display. Free-standing mirrored screens are positioned in the otherwise empty cutting area like sculptures. The lights and doors to the storage fold our of the walls and let them appear like made of sheets of paper. A wall with curved surfaces was designed to softly wrap around the space on the ground and 1st floor of the existing building of the 18th century. Pierce this wall of the space for sell the cheese on ground floor and the space for eat the cheese on the 1st floor in the existing building, it integrally changes to the space like the cave of the cheese. In the very narrow space of the ground floor, refrigerated display units with different diameter and heights cylindrical, according to each 350 cheese, are placed like customers can walk around to appreciate cheese in this space. Customers select and taste anxious cheese and they can find and savor them in the space. Pass through a wall with curved surfaces and go up the stairs, there is a restaurant on 1st floor. Freely create open kitchen area to suit various application by various cube kitchen table. The space is furnished with tables and chairs in remaining portion of open kitchen area and customers can select wines while enjoying a raclette or a cheese fondue. The restaurant with an open kitchen has been design to host various events such as cheese seminars, wine classes or cooking classes, then give each different expression for the space.Into the cheese and people, they give crowded space. In the back space with cheese ripening space also support as cooking preparation space and break space for employees, and expansion space of cooking class.